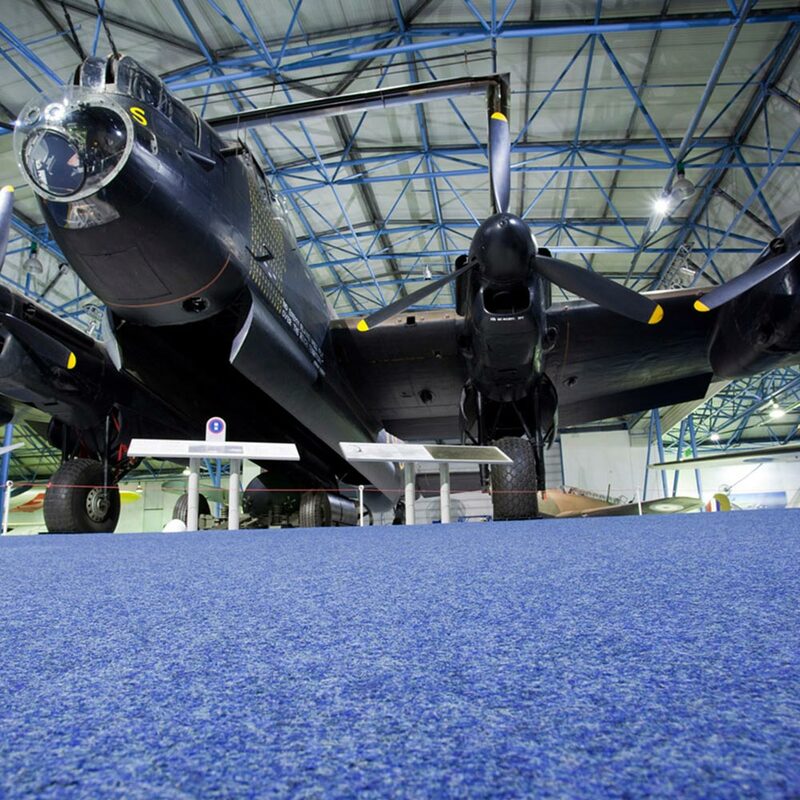 Wellington Velour tiles selected to replace damaged tiles in key areas, with Wellington previously utilised throughout the museum in carpet form. 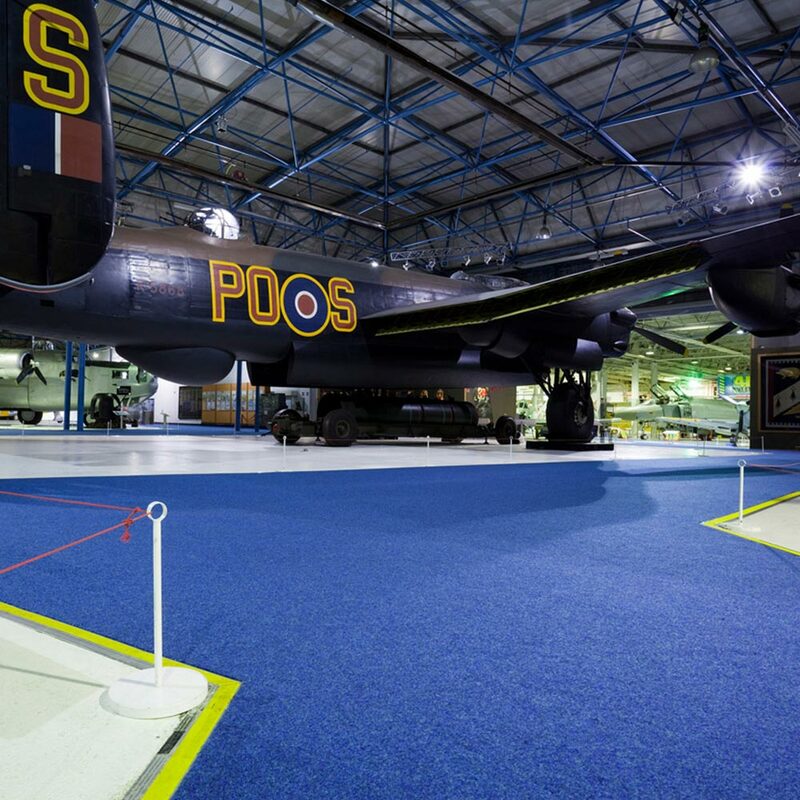 One key area was the Lancaster Bomber display – a favourite with the museum’s visitors. 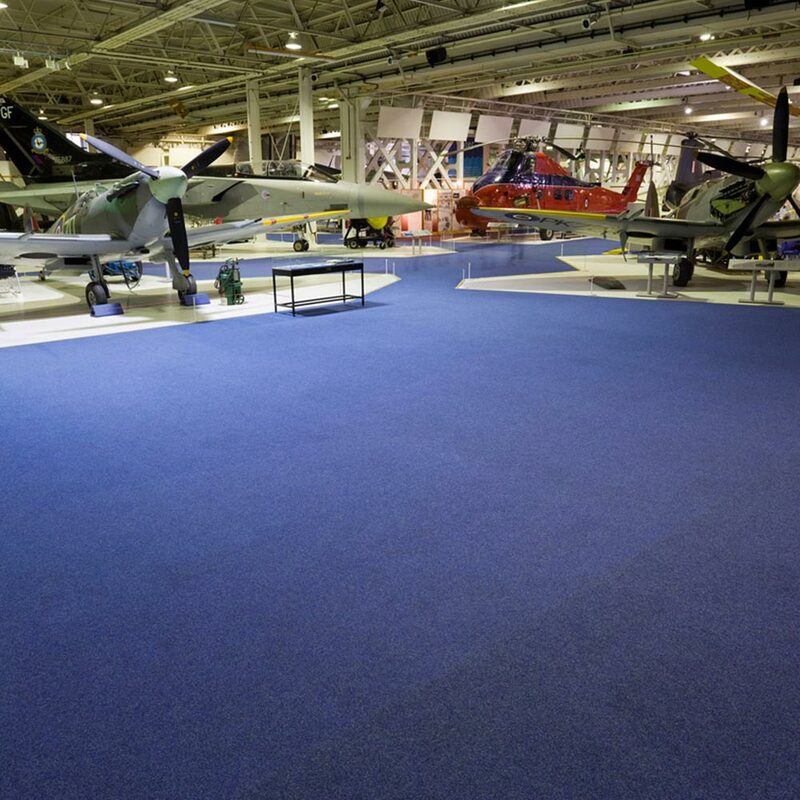 Petrol Blue was selected, which provided a stunning, durable finish ideal for any area where public health and safety is paramount.